Let's party ladies... Despite anyone's relationship status I am always a fan of celebrating love and especially with good girlfriends. 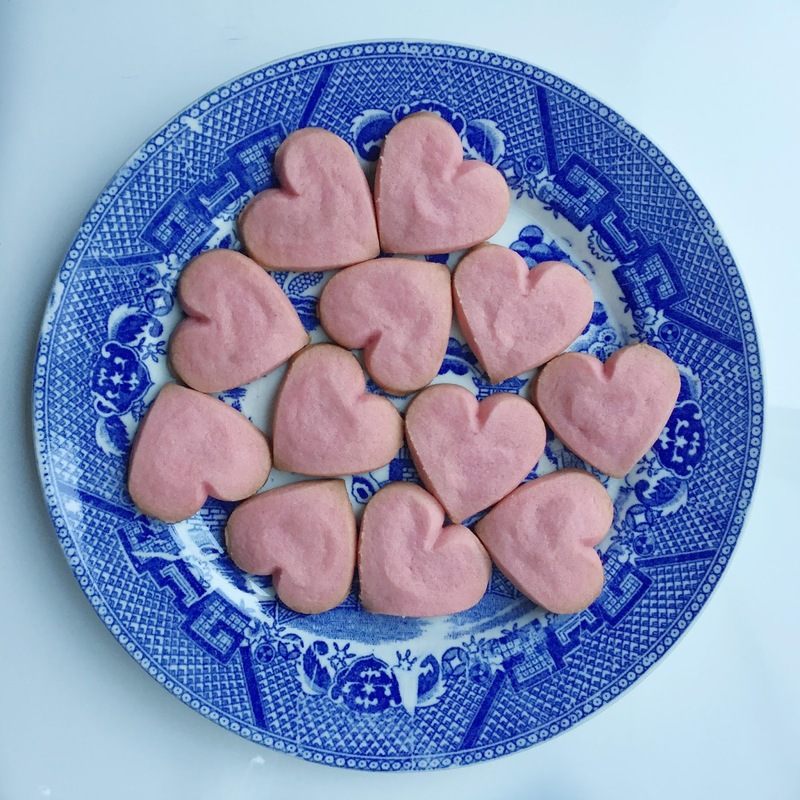 So when I saw so many fun posts last year from #Galentine'sDay parties, I made it a priority to gather some friends together and get creative this year. 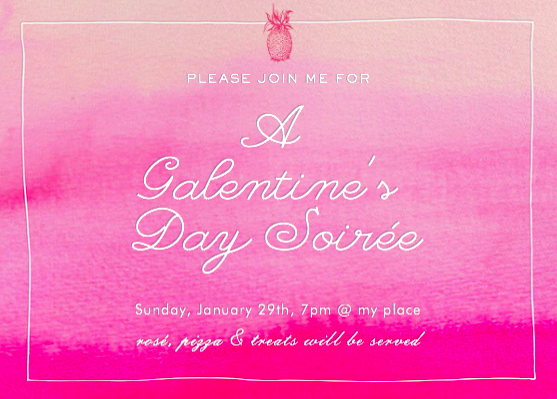 If you are wondering what a Galentine's Day Party consists of it's generally an extension of the adult sleepover or girls night in. Thus, I highly recommend you go all out and eat at least some junk food and perhaps a cocktail or two, or four... Here's what I did. Enjoy! THE SETUP/THEME: I really wanted the vibe of this night to be comfortable and relaxed - I always have so much staying in and sitting around with my girlfriends drinking wine and catching up on life. 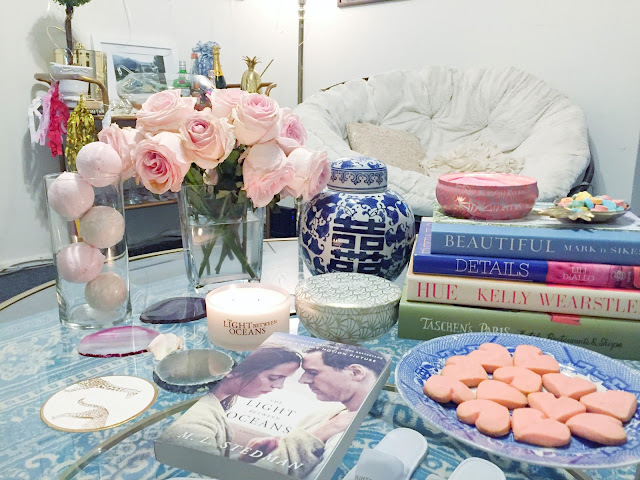 I think it would also work well a as a pre-party before going out, a February book club, or fun addition to a viewing party for The Bachelor. I made the invite on paperless post, partially because they have such great options for cards and invites but also because they let you add motifs and this pineapple one really makes me happy! Of course we needed some pink and red in the mix. 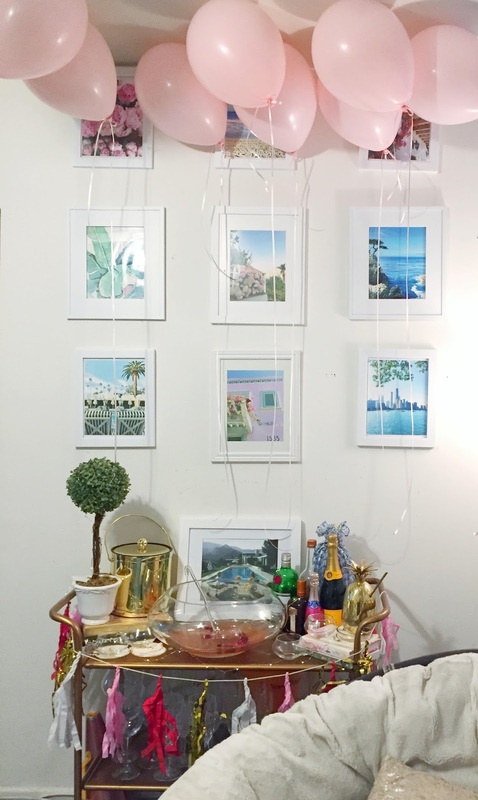 So I decided to decorate the bar cart with some pink balloons hanging above and a pink, red and gold garland draped along the front that I found at a nearby party store, here's one that's similar. I wanted the vibe to be cozy so I told my friends to wear pajamas or activewear, and as a little treat, gave everyone spa slippers and bath bombs to take home. We had a great mix of rom-coms, sad love stories, and a classisc like Bridesmaids, The Light Between Oceans, The Wedding Planner and Clueless playing too. Of course I got some fresh flowers and had a few candles going. I definitely considered confetti but ultimately chose to make the cleanup easier on myself! THE FOOD/DRINK: Going with the #Galentine'sDay theme, I of course wanted some pink and red colors, so naturally the punch I made included a pretty colored blush rosé and some red cranberries. 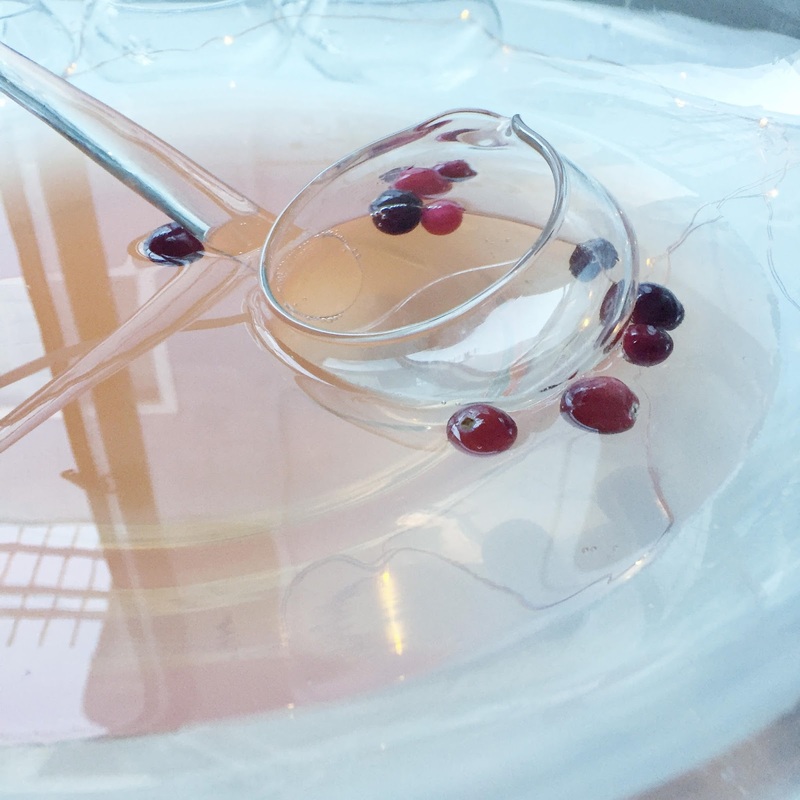 I found a lot of different recipes I liked for a rosé based cocktail but since I wanted to use my punch bowl I ended up using the easiest recipe. I also loved these pretty pink options: rosé, gin, & pink peppercorn cocktail, the love potion cocktail, rose lemon spritzer and some non-alcohol versions: white peach & rose lemonade & faux pink champagne. I also served some tea later in the night to go with the adorable, break-n-bake, heart shaped sugar cookies I found at the grocery store. For food, the obvious choice was pizza, salad and chips/guacamole, aka things I can find pre-made. Another great option would have been some sushi or Chinese take out. I promise that one day I will attempt cooking for people but until then hello Papa Johns! 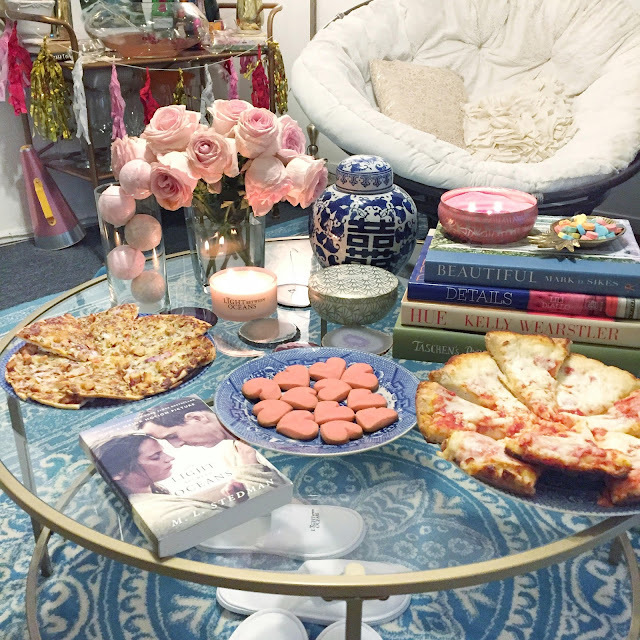 The night obviously turned out to be a major success, but then again how could anything involving pizza and rosé not? And good friends too! It's nice to recognize our friendships when we think about all the celebration of love this month, happy to have such wonderful friends who have supported me over the years! Hope you enjoyed this post! The manager was prompt to respond to any question I had, patient with all my bridal anxiety, and most importantly, the entire wedding at San Francisco wedding venues was managed flawlessly (as was our rehearsal). The food was amazing, and the venue was gorgeous.